Newrest has been in Morocco since 1985. Since 1985, Newrest Maroc Services, a subsidiary of Newrest Group, is a specialized caterer in the food industry; supplying various markets including Industrial Catering (Business and industries, health care and Education), Retail, inflight and Support Services. The acquisition of ATASA has allowed Newrestto grow within the Kingdom of Morroco, and expand our scope of business to include inflight catering, Newrest Group’s core business sector. ATASA serves leading European and Middle Eastern international airlines. Newrest benefits from a wide experience on a worldwide scale while taking into consideration local needs by taking advantage of the experience and know-how of its partner RAHAL. We concentrate on the constant improvement of our processes: procurement, quality services, training and hygiene. 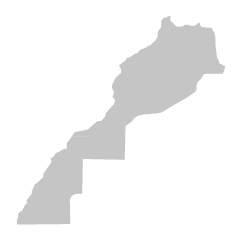 Production unit : Casablanca, Tangier, Rabat, Marrakesh. Newrest was chosen by the ONCF to ensure the catering on board the brand new Moroccan TGV inaugurated on November 15th. Teams of Newrest Morocco renovated the Daily Break by Newrest point of sale at Casablanca's Mohamed V airport. From April 9th to 13th, Newrest Morocco participated in the National Union of French School Sport at Lyautey High School in Casablanca.